Oddity With Tubes or Oddity With Blades? 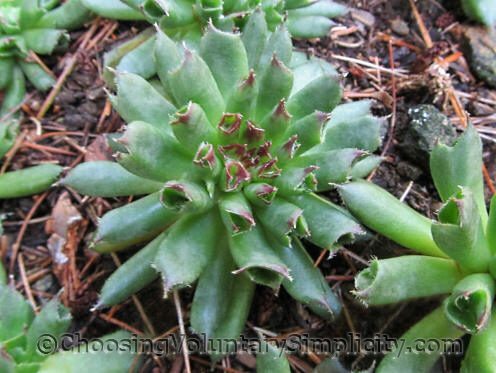 Home » Sempervivums (Hens & Chicks) » Oddity With Tubes or Oddity With Blades? 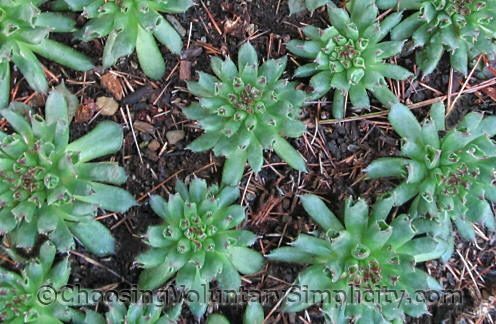 Recently several readers have written to me because the tubes of their Oddity are no longer tubes, and they suddenly have a sempervivum with broad flat leaves. They are concerned that their Oddity is reverting back to a non-tubular form. I think their plants might just be adjusting to the colder temperatures. Although the Oddities I have now were purchased from several sources, and I suppose it is possible that they are somehow different than the Oddities I had previously, I am starting to believe that the changes in leaf shape I have seen over the past several months are normal and that I just never paid attention to them before. 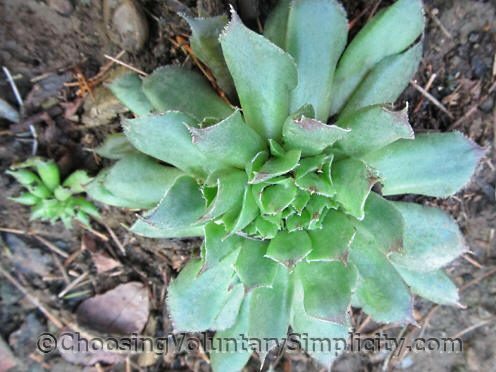 I have noticed that early in the spring the mature, larger Oddities have almost flat blade-like leaves. As it gets warmer the flat blades change back into round open tubes… all of the Oddities in my gardens, regardless of size, had only tubular leaves all during the hot summer months. Now, as the temperatures are dropping again, some tubes have already flattened out. I have also noticed that the tubes on the older and larger Oddities are the first to change back into blades, and that almost all of the tubes on these larger plants show this change. Interestingly, the smaller “chicks” mostly keep their tubular leaves, with only a few of their larger outer tubes becoming flat. I am guessing that these changes in leaf shape in some way provide a protection for the plant, which may explain why a mature plant is more likely to survive severe winter temperatures. I have not been able to find any verification for this other than my observations of the changes in my own plants. Just before the first snowstorm last week I brought three Oddity chicks… all with still tubular leaves… and three large mature Oddities… all with only flat blade-like leaves… inside for the winter. It will be interesting to see how those leaf shapes change during the months ahead. I am expecting that as they adjust to the warmer indoor temperatures… all of the Oddities, regardless of their size… will eventually revert back to tubular leaves. I’m one of the ones that wrote to you. My Oddity looks almost exactly like the 2nd photo except mine has no tubes in the center – everything is flat. I’m relieved to know that I can expect the tubes to come back next summer. 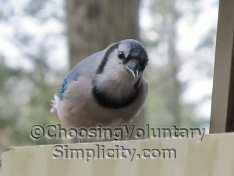 Thanks for addressing this question and for your very fine blog. I’ve been looking for the answer to this question and except for your other post about oddities I haven’t ever found any information. Many people think the oddities revert back to something else. Since reading your first post I have been watching my 2 oddity plants and I have discovered the same thing you described has happened. Great info, thanks. I’m really intrigued with this sempervivum. Someone told me that it is not as hardy as most others so I have been reluctant to try them. I noticed that you live in a cold climate and talk about really cold temperatures so I am encouraged to give this one a try another year. What a relief!!! I spent more than I normally spend on sempervivums to get one of these Oddities and it now has no tubes at all. I thought I had been gypped. Now I’m eager to see what it looks like after this snow melts next spring. We live in New Hampshire and this last snow fall left almost 32 inches of snow in our area. We were without electricity for 5 days. I certainly can empathize with your post about the early snow.